Shortly before 7 p.m. on Sunday evening, a Nissan Infiniti driven by a man in his 20s crossed the center line and slammed into a Nissan Maxima traveling in the opposite direction. The Infiniti was pushed off the road by the force of the crash and caught fire. A 30-year-old man and a 21-year-old man were both pronounced dead at the scene. 5 other people, including the drivers of both cars and a 9-month-old baby, were transported to area hospitals with injuries. Deputy Scott Wilson told reporters that the investigation into why the Infiniti crossed the center line is still ongoing. Police are not yet sure whether drugs or alcohol were a factor in the collision. Jeff Faucet, with South Kitsap Fire and Rescue, told reporters that there was snow on the road at the time of the crash and conditions were icy. Western Washington experienced unusually cold temperatures last week, with a brief snow flurry in Seattle and icy conditions across the region. 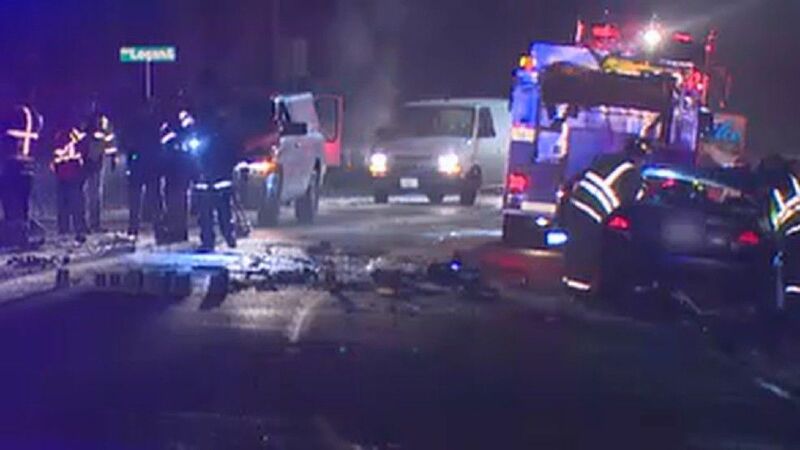 On December 30th, locals reported multiple crashes including a rollover caused by black ice in Seattle. Although local road crews reported last night that preparations were underway for de-icing in time for today’s commute, weather experts are still expecting a snowy and icy morning commute for many people in Western Washington. There is also a possibility of freezing rain this evening; when liquid rain falls on a freezing road surface, it can quickly form a slick icy coating that’s very hazardous for drivers. Even when the weather outside is frightful, drivers are responsible for taking proper safety precautions. Someone who causes a car accident by not paying attention to an icy road may still be liable for any damages they cause.Drivers are required by law to exercise due care in all road conditions. If you have been injured by a driver who wasn’t taking proper safety precautions on Washington’s icy winter roads, it may be time to speak with a personal injury attorney. Although you may have a claim for damages, many insurance companies will attempt to argue that injuries caused by a driver on an icy road were the result of an “Act of God” instead of negligence.